This Sunday, August 20th (at 6pm BST), Richey Beckett will be releasing two new beautiful art prints via his online store. 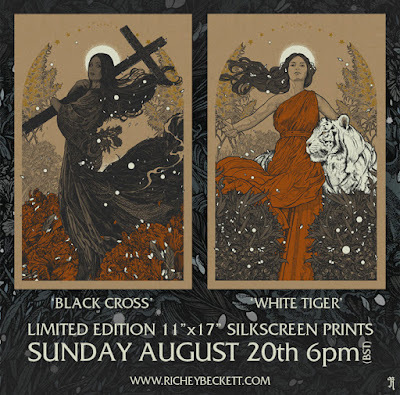 These “Black Cross” and “White Tiger” screen prints were originally created for the Full bleed art exhibition hosted by Burlesque of North America at Roadburn Festival earlier this year. Each poster is an 11”x17” hand numbered and signed 5 color screen print with metallic gold ink on 100lb Kraft French Paper. 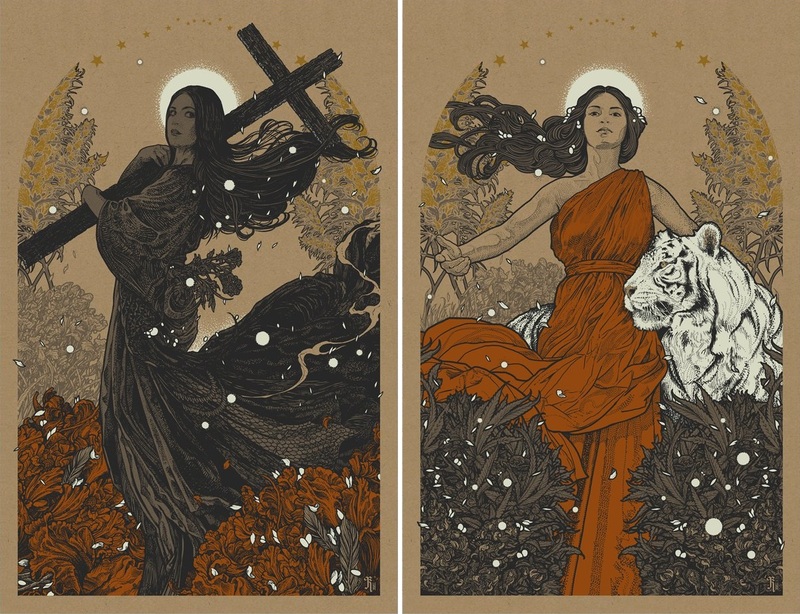 These wonderful prints are limited to 75 pieces each and will retail for £26.